The results of Sri Lanka’s local government elections held on February 10, 2018 are causing unexpected political turmoil in the country. 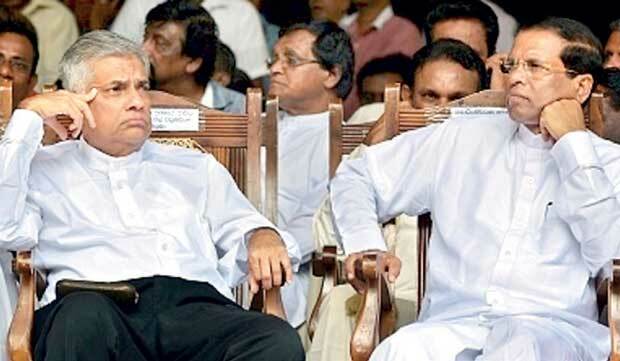 The resounding electoral performance of former president Mahinda Rajapaksa’s newly-formed party, Sri Lanka Podujana Peramuna (SLPP), is aggravating the already significant rift between the ruling coalition leaders President Maithripala Sirisena and Prime Minister Ranil Wickremesinghe. The future of the ‘National Unity Government’ coalition is now in doubt. How did an election for the lowest level of government manage to cause tremors of such magnitude at the centre of Sri Lankan politics? The major political parties saw the 2018 local government elections as an opportunity to compete for power before the next national election. Even the public treated the elections very much as a vote on national issues. There was a degree of enthusiasm not typical of local elections, with voter turnout as high as 80 percent in some districts. This was the first election held under the new mixed electoral system. Sixty percent of the seats in each local government authority were filled under the first-past-the-post system, while the remaining 40 percent were filled based on the proportion of votes received by each contesting political party or independent group. Over 57,000 candidates from 13 registered parties and several independent groups contested 13,374 seats in 341 local council bodies. Rajapaksa’s SLPP secured 231 local councils, with 3369 of its candidates elected as council members. The prime minister’s United National Party (UNP) won 34 councils and saw 2385 of its members elected. The two parties that the president represents, the Sri Lanka Freedom Party (SLFP) and the United People’s Freedom Alliance, secured only nine councils. As always, northern voters rallied around northern Tamil parties. Illankai Tamil Arasu Kachchi, a constituent party of the Tamil National Alliance (TNA) (which is led by opposition leader R.
Sampanthan), had 150 of its candidates elected. The Eelam People’s Democratic Party (EPDP) and a revived Akila Ilankai Tamil Congress (AITC) had 81 and 80 of their members elected, respectively. These results indicate that the TNA, a moderate political force among the northern Tamil community, is gradually losing its electoral strength to more nationalist and radical political forces like EPDP and AITC. The local election results cannot be understood without reference to the presidential and parliamentary elections of 2015. In January 2015, Mahinda Rajapaksa, the hero of the Sinhalese Buddhist population, suffered an unexpected defeat at the hands of the Sirisena–Wickremesinghe coalition. His loss and the victory of the National Unity Government were widely attributed to minority voters. Sinhalese nationalists perceived the 2018 local elections as an opportunity to correct this ‘historical mistake’ (as they see it) by voting for a Rajapaksa government once again. The National Unity Government’s many positive initiatives such as the 19th Amendment to the constitution, its national reconciliation programme and its constitutional reform project have been seen as detrimental to the Sinhalese majority, whose rural base in particular remains attracted to Rajapaksa three years after his defeat. Yet, it is not Sinhalese nationalism that is responsible for the defeat of the National Unity Government but rather the coalition’s chaos, corruption and ineffectiveness. Since forming the government, the president and prime minister have pursued their own agendas. Sirisena focussed on consolidating his leadership of the SLFP and strengthening the SLFP’s position within the coalition. Wickremesinghe focussed on strengthening the UNP and on his ambitions to form a government alone at the next national election by fuelling divisions within the SLFP. This tug of war made the government appear weak and inefficient. Not only did they fail to deliver on their campaign promises but they also failed to bring before the law the individuals of the Rajapaksa regime who stand accused of corruption and abuse of public office. A pre-election opinion poll conducted by the Centre for Policy Alternatives reveals the extent that Sri Lankans and especially the Sinhalese are unhappy with the coalition government. Fifty-six percent of all respondents and 63 percent of Sinhalese respondents think that the coalition should not continue. Forty-one percent of all respondents and 46 percent of Sinhalese respondents believe that the economy will worsen if the coalition government continues. Sixty-three percent of Sinhalese respondents are dissatisfied with how the government has delivered on its promise of good governance and 64 percent of Sinhalese respondents believe that the allegations of corruption and embezzlement against the coalition government are true. The poll respondents also recognised the freedoms they enjoy under the coalition government. An overwhelming majority of all ethnic communities surveyed believe that they enjoy greater freedom under the present government to express their political opinion, to join any political association and to vote without pressure than they did under the previous regime. Sri Lanka’s local elections mark the beginning of the end of the National Unity Government — a coalition introduced as an alternative to a corrupt, authoritarian and nationalist regime. This outcome reminds Sri Lanka that democracy may not always come with a prerogative to correct past mistakes.